I am writing this post as the month goes along so that I have something to share on the 1st of June 2013 as far as what is happening in my kitchen. not in my kitchen …. I was so excited when my marrow plant started budding! But I have a tortoise and she ate her way through my marrow plants as well as my peas. I am now changing my garden yet again and so what was going to be a lavender bed is now going to be a vegetable planter. I have to get soil delivered for that which I will do when we get back from overseas. I will get this bed turned over for root vegetables which Stanley cannot destroy! 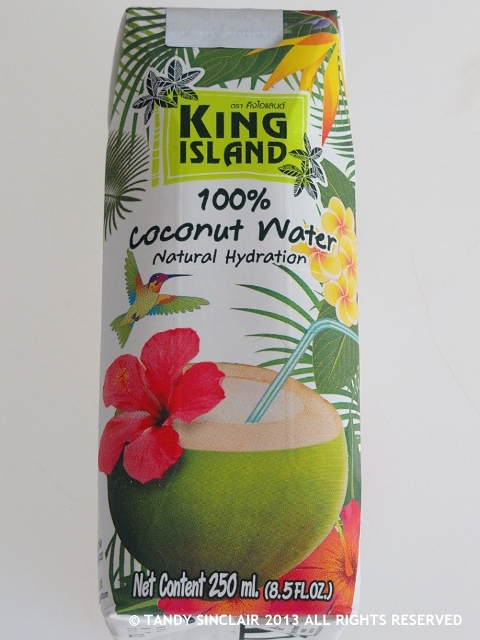 is some coconut water. I finally have a recipe in mind for it so hopefully soon I will be able to get it made and share the results with you if it works! is agar-agar. I bought this on a whim and hopefully it will turn out to be a good buy. 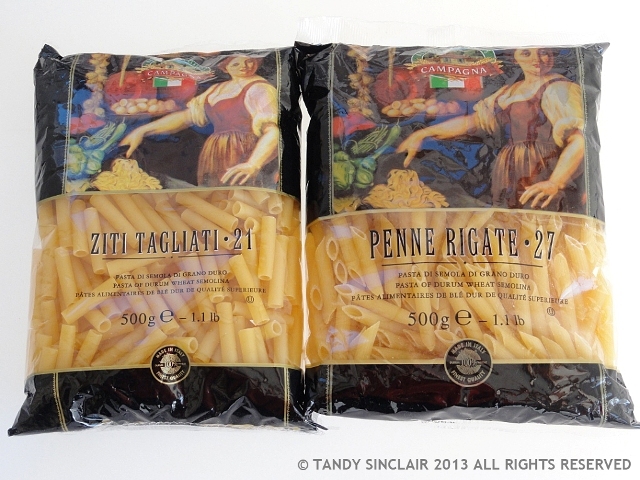 are two packets of pasta that Dave and I got in our goody bags after the Fair Lady reader’s evening. but I had to share, is Misty in her basket. 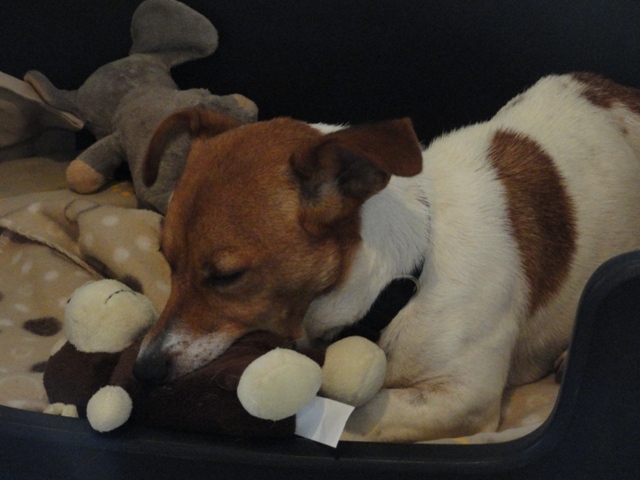 She has an elephant stuffed toy which Molly wanted so I got Molly the stuffed monkey. Both of the toys are now in the basket, but Misty is the only dog who will sleep in it. is a gift of olives and honey from Waterkloof Wine Estate. I am a member of their wine club and this was a small gift we received when we went to a members event at the estate. is a bottle of sparkling pear juice. I bought it when I went to Solms-Delta and I will report back once I have tried it. was a cupcake! Dave go that as a thank you for making dinner after the Col’Cacchio function. I was given the cupcake together with the heat resistant glove whose smart yellow dot turns red when it is hot! 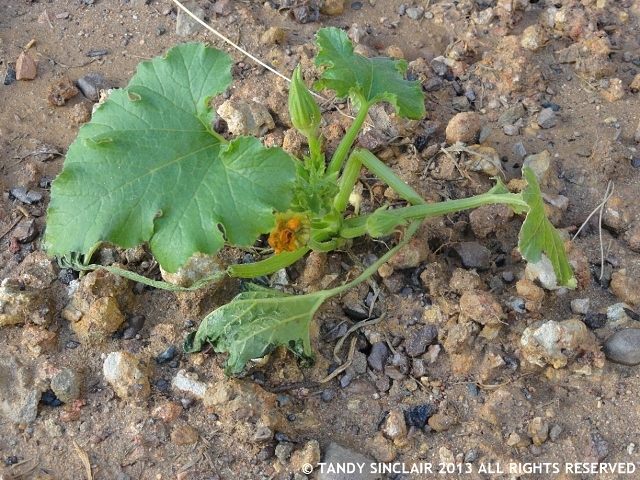 Hi Tandy- I worry about deer, rabbits and groundhogs when mygarden is planted- a tortoise never even entered my mind. But then I live in the midwest USA- so nothing too exotic here. Good luck with your garden, it can be so discouraging when the wildlife treat it like a buffet. Misty is just adorable, she looks like she’s really into that monkey. And the sparkling pear juice is our kid’s favorite and we know a lot of folks who have used it for wedding receptions too — I think you’ll like it. I am hoping it will warm up soon so I can open it! Misty is so cute. And I need to check what agar-agar is. You have lots of fun & tasty goodies in your kitchen: except the doggie 🙂 That perry calls my name,…. I shall have a drink for you when we open the bottle! I must go find myself a chocolate now. I need to hit my kitchen to find a chocolate after seeing that! 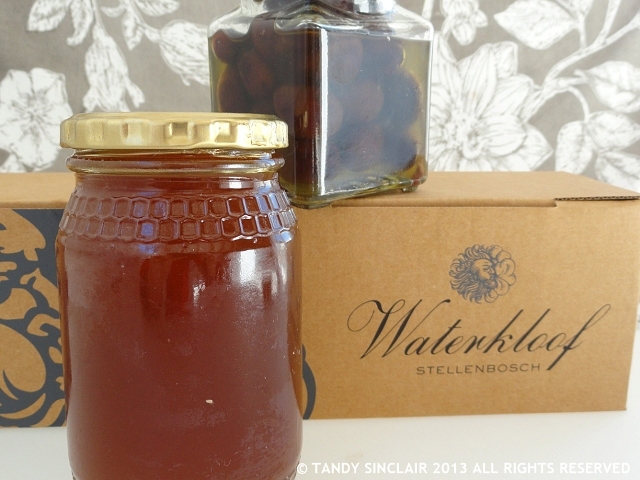 Honey and olives from Waterkloof…. how lovely. It is a seaweed based product that works like gelatine but can set at cold temperatures – and you’ll know as soon as I use it! 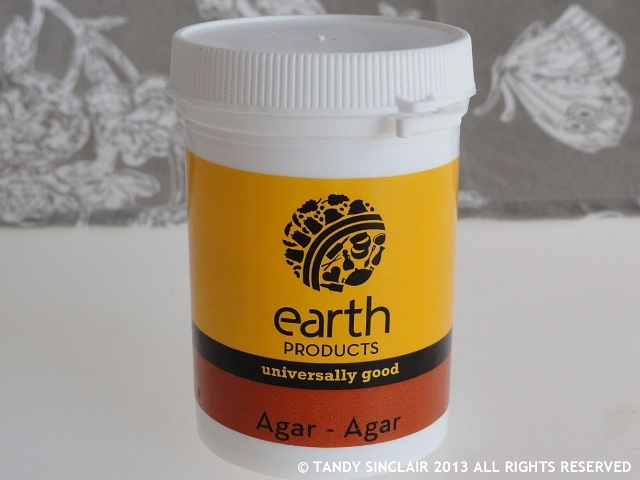 Agar-agar is great, Tandy, I use it in my panna cotta. I cannot wait to try it when we get back!